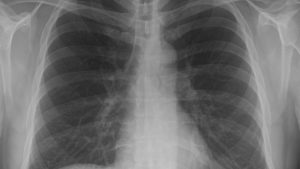 Plain film X-ray is often a patient’s first interaction with the imaging department. An X-ray is a quick and painless procedure commonly used to produce images of the inside of the body. 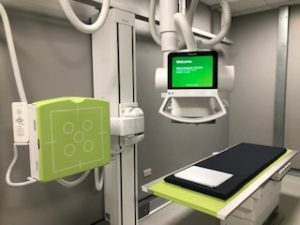 During an X-ray, you’ll usually be asked to lie on a table or stand against a flat surface so that the part of your body being examined can be positioned in the right place. The X-ray machine, which looks like a tube containing a large light bulb, will be carefully aimed at the part of the body being examined by the radiographer. They will operate the machine from behind a screen. The X-ray will last for a fraction of a second. You won’t feel anything while it’s carried out. For all X-rays, patients should let the radiographer know if they are pregnant. X-rays aren’t usually recommended for pregnant women unless it’s an emergency. The Imaging Directorate at Heartlands, Good Hope, Solihull Hospitals, and Birmingham Chest Clinic performs approximately 245,762 x-ray examinations each year using a range of computed and digital radiographic technologies. The X-ray service operates 24 hours a day, 7 days a week on all three sites.